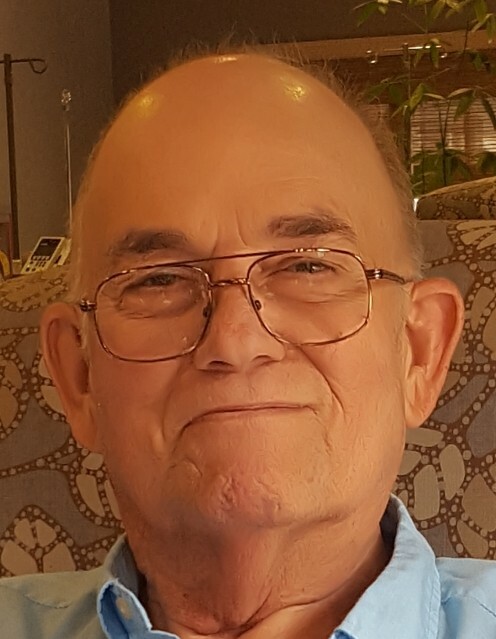 Mr. Jimmy Veldon Allen, age 72, beloved husband of Linda Lawrence Allen for fifty three years, passed away on Thursday, January 17, 2019, in University Hospital in Augusta, following a hard-fought battle with cancer, surrounded by family. He was born February 21, 1946, at home, in Alston. He loved his Savior and there was always prayer when visiting his home. His family was his priority. He enjoyed Georgia Bulldog football, gardening, and fishing. He was always smiling and entertaining those in his company-it was his gift. His joyful personality will be missed by those who knew and loved him. He was preceded in death by his parents, Frank Joseph Allen and Catheron Farmer Allen and siblings, Ramond Allen and wife Dot, Ronnie Allen and wife Hiwatha, Elaine Atkins, and Brenda Cheryl, born sleeping; and a brother-in-law, David Beasley. In addition to his loving and devoted wife, he is survived by his daughters, Amy Alimohamed and husband Ilias of Blythewood, South Carolina and Kati Lunceford and husband Andrew of Ashburn, Virginia; one granddaughter, Stephanie Taylor and husband Alan; grandsons, Owen and Nolan Lunceford; great grandchildren, each of whom he adored, include Sebastian, Bryson and Adalynn Taylor; ten siblings, Russell Allen and wife Betty of Vidalia, Jo Langley and husband John of Edgefield, South Carolina, Cathy Beasley of Ashburn, Georgia, Donna Howayeck and husband Alan of Tupelo, Mississippi, Dana “Butch” Allen and wife Sandra of Mt. Vernon, Berrie Allen and wife Sandy of Ailey, Larry Allen and wife Elaine of Lyons, Harry Allen and wife Debbie of Arizona, Lana Finch, and Sharon Lumley, both of Vidalia; and countless nieces, nephews, great nieces, great nephews. The funeral service will be held Monday, January 21st at 3:00 p.m. in the chapel of Ronald V. Hall Funeral Home with Reverend Allen Rea officiating. Burial will follow in the Uvalda City Cemetery. The family will assemble at the residence of Larry and Elaine Allen, 1203 U.S. Hwy 1 North, Lyons.